I can't say enough about how lovely this wedding was. 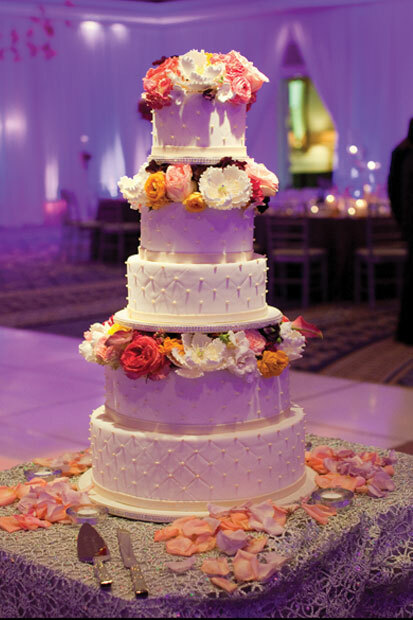 You can't go wrong with the Ritz Carlton Half Moon Bay, or gorgeous flowers by Amy Burke Designs, photography by Janae Shields Photography, videography by Studio MSV and of course cakes by Cake Coquette. 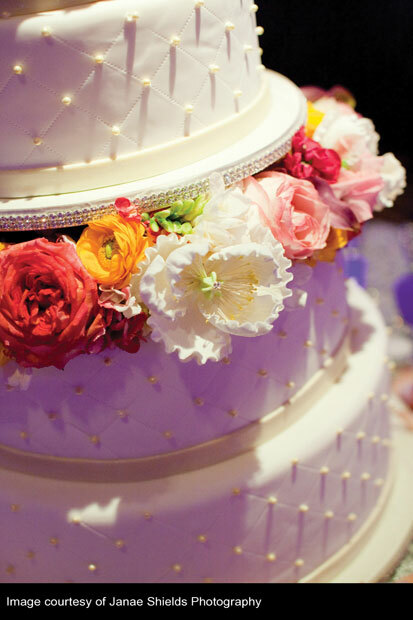 For Carrie and George's wedding cake we used mostly real flowers with some rhinestone studded sugar peonies and hydrangeas. I also lined the boards with real rhinestone ribbon. 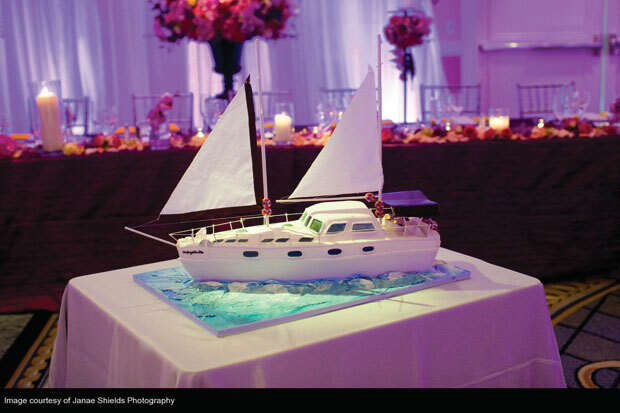 The groom's cake was so much fun to work on. I wanted it to look as real as possible so I made the sails from real fabric and the masts from wood dowels. The railing was wire, but everything else was edible. My favorite element has to be the little life preservers.